This guest blog post was written by Nick Lyon, Director of the Michigan Department of Community Health. The Department is participating in this week’s blog carnival to promote the oral health safety net that Medicaid and CHIP provide to children. The Centers for Medicare & Medicaid Services offer a variety of handouts and posters to help oral health advocates educate parents and pregnant women. Michiganders recognize that quality dental care is important to the overall health and wellness of our children. We know that in order to build a stronger state, we need to start by focusing on building a healthier Michigan too. That includes thinking about our teeth, and our children’s teeth as well! Across the United States, tooth decay is the most common preventable chronic disease and when left untreated, can negatively affect a child’s physical and social development, as well as his or her school performance. In Michigan, we have made a commitment to focusing on improving the oral health of our children. In particular, Governor Rick Snyder has consistently placed his support behind expanding Healthy Kids Dental, Michigan’s dental benefit program for Medicaid beneficiaries under the age of 21. Studies show children in Michigan with Healthy Kids Dental coverage are more likely to receive dental treatment than those with traditional Medicaid dental coverage. In fact, dental visits are 50 percent higher for children who are enrolled in Healthy Kids Dental. Studies show children in Michigan with Healthy Kids Dental coverage are more likely to receive dental treatment than those with traditional Medicaid dental coverage. 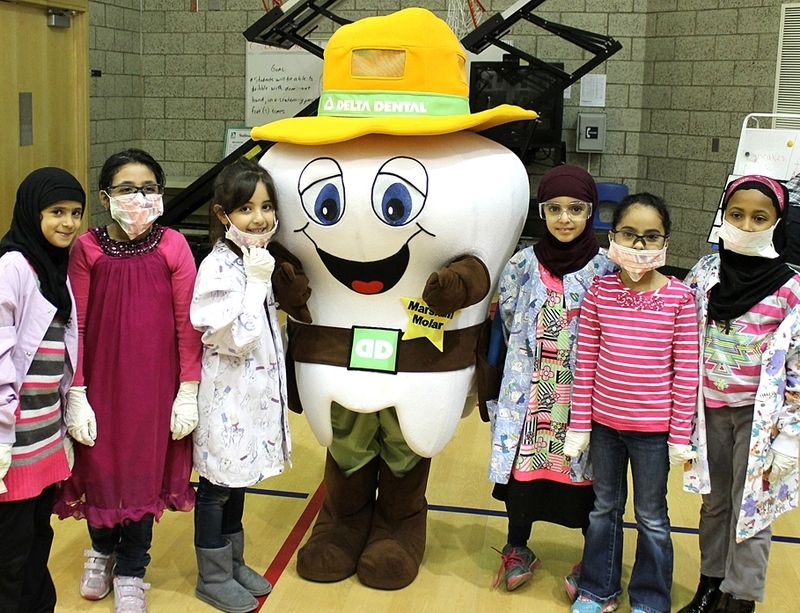 Today, through Michigan’s partnership with Delta Dental of Michigan, Healthy Kids Dental serves about 565,000 children in 80 of Michigan’s 83 counties and our priority is ensuring that we reach all eligible children in the coming years. Through programs such as this, dental services such as X-rays, cleanings, fillings, root canals, tooth extractions and more are provided to Michigan youth. Further, studies show that children miss 51 million hours of school each year because of oral health issues. Increasing access to dental care services can help reduce this number and can produce healthier children who are more likely to be successful and productive in school. Additionally, important work is being done at both the community and national level to expand oral health coverage and education. In our communities, groups such as the Michigan Oral Health Coalition focus on prevention and access to care to improve oral and overall health. Nationally, the federal Centers for Medicare and Medicaid Services have excellent oral health materials available for parents and pregnant women about the importance of good oral health for our children as well. From encouraging pregnant women to include dental health in their prenatal care, to ensuring our children see a dentist early in life, the efforts of local, state, and federal partners are key in ensuring that children have a healthy start in life. Whether as government agencies we focus on expanding oral health, or as parents and caregivers we do all that we can to ensure an early oral health care start for our children, we can reduce tooth decay. Michigan, together with our local and national partners, is committed to improving the oral and, in turn, overall health of our residents. Together, if we "Think Teeth" and start good oral health habits early, we can have a lasting effect on the overall health and success of our youth!